Michelle Coupal (Bonnechere Algonquin First Nation) is Canada Research Chair in Truth, Reconciliation, and Indigenous literatures, and Associate Professor in the Department of English, University of Regina. Michelle specializes in and teaches courses on Indigenous literatures, Indian Residential School literature, Indigenous media/film, and Canadian literature. Coupal is co-editor (with Deanna Reder [Cree/Métis], Joanne Arnott [Métis], and Emalene A. Manuel [Secwepemc/Ktunaxa]) of a collection of the works of Secwepemc/Ktunaxa writer Vera Manuel, Honouring the Strength of Indian Women: Plays, Stories, Poetry. Published by the University of Manitoba’s First Voices First Texts series, the book is scheduled to be released in February 2019. Michelle’s book-in-progress, Teaching Trauma and Indian Residential School Literatures in Canada, was awarded a SSHRC Insight Development Grant (2016-2019) and will be published by Wilfrid Laurier University Press. Michelle has published and submitted articles on teaching trauma and Indian residential school literature, pedagogies of reconciliation, the cultural work of teaching truth and reconciliation through narrative, and Indigenous positioning protocols in the classroom. Daniel Heath Justice is a Colorado-born Canadian citizen of the Cherokee Nation/ ᏣᎳᎩᎯ ᎠᏰᎵ. Daniel is a faculty member in First Nations and Indigenous Studies and English on unceded Musqueam territory at UBC, where he also holds the Canada Research Chair in Indigenous Literature and Expressive Culture. His most recent book is Why Indigenous Literatures Matter, a literary manifesto about the way Indigenous writing works in the world. Allison Hargreaves is a settler scholar of Indigenous literatures and an associate professor in the Department of Critical Studies at the University of British Columbia, Okanagan campus, on unceded Syilx territory. She is the author of Violence Against Indigenous Women: Literature, Activism, Resistance (2017). As a composition instructor, she also teaches in UBC’s Aboriginal Access Program. 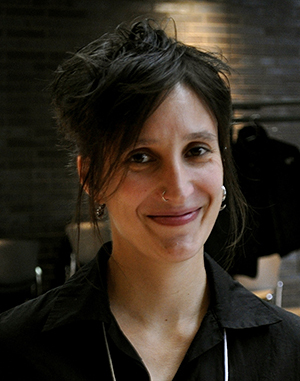 Sarah Henzi is Assistant Professor of Indigenous Literatures in the Département de littératures et de langues du monde at Université de Montréal. She is also Organizer of and Lecturer for the International Graduate Summer School on Indigenous Literatures and Film at Université de Montréal (CÉRIUM). Currently she serves as Assistant Editor for Francophone Writing for Canadian Literature and on the editorial board of Studies in American Indian Literatures. Her research focuses on genres that are redefining and expanding upon what has been considered thus far as “literature” in the field of Indigenous Literary Studies: comic books, graphic novels, science fiction, fantasy, speculative fiction, slam poetry, and erotica. Also, the prevalence of new media and of the audio-visual and digital worlds are providing exceptional entry points to the land and territories (whether spatial, discursive, aesthetic) that many artists and writers may no longer have access to. Her work also seeks to promote the Francophone literary and artistic works of Indigenous peoples in Quebec. She is a contributor to the Oxford Handbook on Indigenous American Literatures (2014), the Routledge Companion to Native American Literature (2015) and Learn, Teach, Challenge: Approaching Indigenous Literatures (2016), and has publications in Canadian Literature, Recherches amérindiennes au Québec, the Canadian Review of Comparative Literature, Quebec Studies, Studies for Canadian Literature, the London Journal of Canadian Studies, and Australasian Canadian Studies. Aubrey Hanson is of Métis and European ancestry and is from Calgary, where she is a member of the Métis Nation of Alberta. Aubrey taught in the Calgary Board of Education before joining the Werklund School of Education at the University of Calgary in 2012—first as a doctoral student and then as a faculty member. Aubrey’s research focuses on the relationships between Indigenous literatures, education, and the resurgence of Indigenous communities. She investigates how the imaginative work of the Indigenous literary arts matters to Indigenous peoples' ongoing efforts to sustain healthy communities. In this work, she focuses on gender, sexuality, resilience, and urban space. Sandie Dielissen is a PhD student in the Departments of Gender, Sexuality, and Women’s Studies and First Nations Studies at Simon Fraser University, Burnaby, BC. Her research explores the gender politics of the Indian residential schools, as prescribed, performed and maintained during the transitional, early reserve era. She is a member of the SFU Indigenous Research Institute and was recently the graduate Research Assistant on the SFU Aboriginal Reconciliation Council. Sandie is an historical archaeologist with an interest in the material culture of institutional confinement, and her MA research was based on her excavations of a residential school site, undertaken on behalf of the Piikani First Nation in southern Alberta. Sandie is first generation Canadian, and lives and works on the traditional and unceded territories of the Coast Salish Peoples. Madeleine Reddon (Métis) is from Treaty 6 territory known currently as Edmonton, Alberta. She is a PhD candidate in the Department of English at the University of British Columbia, located on the unceded, ancestral lands of the Musqueam people, and she is a recipient of the CGS doctoral Joseph-Armand Bombardier scholarship. Her dissertation tracks anti-colonial aesthetic practices of dissent and community formation. With a focus on the political concerns of Indigenous studies and the writing of Indigenous people, her research understands these aesthetic traditions and histories as a form of memorial work often foreclosed by homogenizing, normative histories of the subject within the settler-colonial state. Her research interests include global avant-garde and modernist literatures, critical nationalisms, postcolonialism, Indigenous and Black studies, psychoanalysis, and memorial practices. Svetlana Seibel is currently a postdoctoral researcher and lecturer at Saarland University, Germany, in the department of English (Chair of North American Literary and Cultural Studies). She defended her dissertation, entitled Personal Totems’: The Poetics of the Popular in Contemporary Indigenous Popular Culture in North America, in July 2016. Her dissertation aims at contributing to the construction of a theoretical framework for the study of Indigenous popular culture, with a special emphasis on Indigenous popular fiction (vampire fiction, zombie fiction, science fiction and its various subgenres, superhero narratives etc.). In June 2017, she organized the international and interdisciplinary conference Long Time Ago on a Reservation Far, Far Away: Contemporary Indigenous Popular Culture across the Globe at Saarland University. The conference brought together scholars from Europe, India, Canada, and the Ukraine who work in the field of Indigenous popular culture. As a doctoral student she was part of the International Research Training Group (IRTG) Diversity: Mediating Difference in Transcultural Spaces, and after completing her dissertation she remains affiliated with this group as an associated Post-Doc. The IRTG is a partnership between two German universities—Trier University and Saarland University—and Université de Montreál in Montreal, Canada. Through her work as part of the IRTG she maintains close ties to Canada and its academic community. 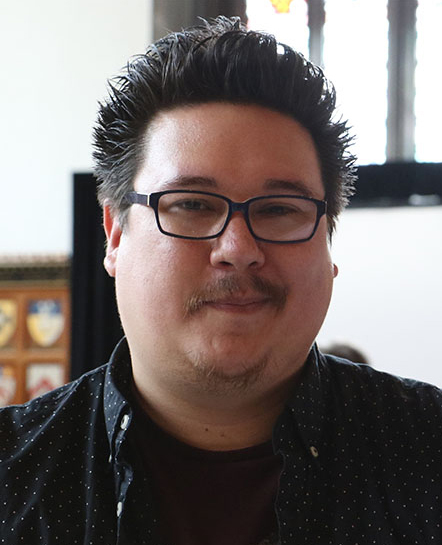 Jordan Abel is currently writer-in-residence at the University of Manitoba’s Centre for Creative Writing and Oral Culture, a member of the editorial board at Wolsak & Wynn’s Buckrider Books imprint, and a PhD student at Simon Fraser University. His research concentrates on Indigenous poetry and intergenerational trauma. His creative work has recently been anthologized in Best Canadian Poetry (Tightrope), The Land We Are: Artists and Writers Unsettle the Politics of Reconciliation(Arbiter Ring), and The New Concrete: Visual Poetry in the 21st Century (Hayword). His body of work includes The Place of Scraps (winner of the Dorothy Livesay Poetry Prize), Un/inhabited, and Injun (winner of the Griffin Poetry Prize). As the graduate student representative, he brings to the ILSA council, knowledge of the publishing industry in Canada, and enthusiasm for Indigenous poetry and poetics. Deanna Reder (Cree-Métis) is the Chair of the Department of First Nations and the Director of the Masters of Arts for Teachers of English (MATE) for the Department of English at Simon Fraser University. She is currently co-editing Honouring the Strength of Indian Women: Plays, Stories, Poetry by Vera Manuel, along with Michelle Coupal (Algonquin), Joanne Arnott (Métis), with Emalene Manuel (Secwepempc/Ktunaxa), to be released in 2018. She is a co-editor of an anthology suitable for the first year university classroom called Read, Listen, Tell: Stories from Turtle Island (2017) with lead editor Sophie McCall, and David Gaertner and Gabrielle Hill. She is also co-editor of an anthology of Indigenous literary criticism, Learn, Teach, Challenge: Approaching Indigenous Literatures (2016), with Linda Morra. She is proud to have been a part of the amazing founding council of ILSA that met in October 2013; Cherokee scholar Daniel Heath Justice brought together a mix of Indigenous and settler scholars to found an association that included Sam McKegney, Jo-Ann Episkenew (Métis) Keavy Martin, Kristina Bidwell (NunatuKavut), Rick Monture (Mohawk), the late Renate Eigenbrod and Armand Garnet Ruffo (Anishinaabe). She is currently the Series Editor for the Indigenous Studies Series at Wilfrid Laurier University Press. Sam is a settler scholar of Indigenous literatures. He grew up in Anishinaabe territory on the Saugeen Peninsula along the shores of Lake Huron and currently resides with his partner and their two daughters in traditional lands of the Haudenosaunee and Anishinaabe peoples where he is Associate Professor and Graduate Chair in the Department of English at Queen’s University. He has published a collection of interviews entitled Masculindians: Conversations about Indigenous Manhood, a monograph called Magic Weapons: Aboriginal Writers Remaking Community after Residential School, and articles on such topics as environmental kinship, masculinity theory, prison writing, Indigenous governance, and Canadian hockey mythologies. He has been working toward an association to support the study and production of Indigenous literary art in Canada for about five years now and is extremely excited to see the enthusiasm and support ILSA has garnered in its inaugural year. Sophie McCall’s main areas of research and teaching are Indigenous literatures and studies in Canada, contemporary Canadian literature from the 20th and 21st centuries, diasporic writing, and studies in reconciliation and transitional justice. Her book First Person Plural: Aboriginal Storytelling and the Ethics of Collaborative Authorship (UBC P, 2011), was a finalist for the Gabrielle Roy Prize for English Canadian literary criticism and the Canada Prize from the Federation for the Humanities and Social Sciences for the scholarly work in the Humanities. Her most recent publication, with her co-editor, Gabrielle L’Hirondelle Hill, is The Land We Are: Artists and Writers Unsettle the Politics of Reconciliation (ARP Books 2015), a collection of essays that approaches the concept of ‘reconciliation’ as a problematic narrative about Indigenous-settler relations, but also as a site where conversations about what a just future looks like must occur. She is also the editor of Anahareo's Devil in Deerskins (U Manitoba P, 2014), the first book-length life narrative published by an Indigenous woman author in Canada; and co-editor (with Melina Baum-Singer and Christine Kim) of Cultural Grammars of Nation, Diaspora, and Indigeneity in Canada (Wilfred Laurier UP 2012). With co-editors Dave Gaertner, Garbrielle Hill, and Deanna Reder, she is currently working on an anthology of Indigenous literatures, Read, Listen, Tell: Indigenous Literatures from Turtle Island (to be co-published by Theytus Books and Wilfred Laurier UP). June Scudeler (PhD, UBC 2016) is a Métis scholar whose research combines literature, queer Indigeneity and cultural studies. She is currently a sessional instructor at UBC and SFU, and SFU's Indigenous Graduate Student Coordinator. June has published articles in Native American and Indigenous Studies, American Indian Culture and Research Journal (a special edition on Indigenous art that she co-edited with Dr. Patricia Marroquin-Norby of the Newberry Library) and Studies in Canadian Literature. June's chapters are included in Queer Indigenous Studies: Critical Interventions in Theory, Politics and Literature (2011) and Performing Indigeneity. Inspired by her passion for Indigenous arts, June is the co-Chair of the Vancouver Indigenous Media Arts society. Smokii Sumac is a proud member of the Ktunaxa nation, and a PhD Candidate in Indigenous Studies at Trent University. He is also a poet, releasing his debut poetry collection you are enough: love poems for the end of the world in December 2018 with Kegedonce Press. Smokii is honoured to have performed across the country, including at the Canadian Festival of Spoken Word (2017) and at the Queer Arts Festival (2018). As a two-spirit and transgender educator, Smokii has facilitated workshops for various organizations and groups, including as a knowledge holder at the Trent Elder’s Gathering (2018). Smokii currently shares his time between Nogojiwanong (Peterborough, Ontario) and Ithaca, NY where he lives with his family and their dog, Smudge..